Ideas, resources and encouragement for small-group leaders. Ever since New Testament times small groups of Christians have met to learn, to worship and to grow together. An effective group enables its members to thrive in their Christian life and make an impact in their world. This guide equips small-group leaders to steer a group with confidence and competance. Written by experienced authors with much wisdom it will give you the vision you are looking for. Essential reading whether you're starting a housegroup, taking an existing group forward or revitalizing a group that has gone a little flat. This practical guide will transform your vision, develop your skills, focus your aims and enable you to lead your group with panache. 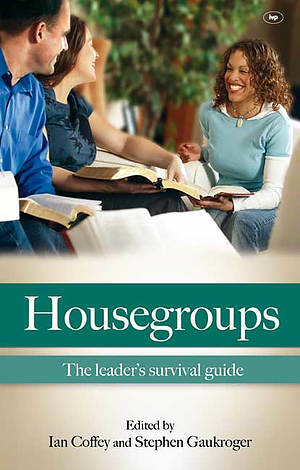 Housegroups (Rejacket) by Ian Coffey & Stephen Gaukroger was published by IVP in January 2011 and is our 22087th best seller. The ISBN for Housegroups (Rejacket) is 9781844745104. Be the first to review Housegroups (Rejacket)! Got a question? No problem! Just click here to ask us about Housegroups (Rejacket).